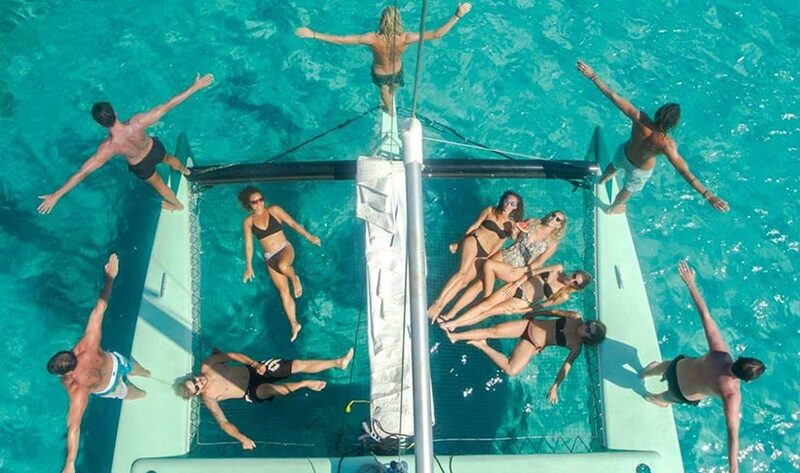 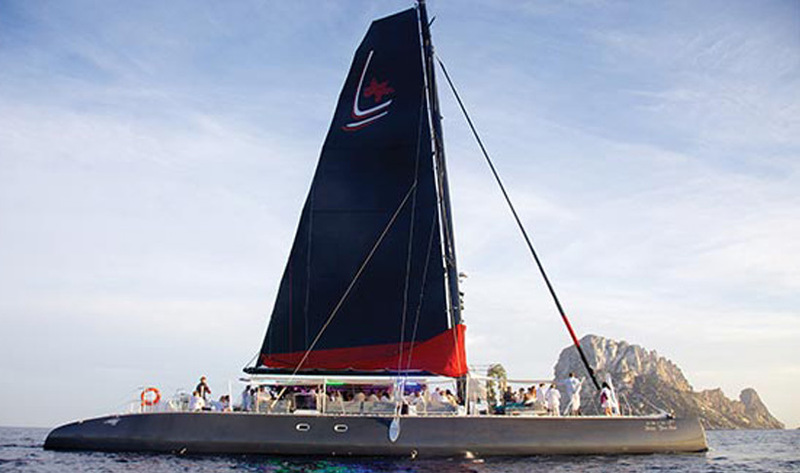 The Diamante 555 is a 55-foot catamaran built entirely of aluminium. 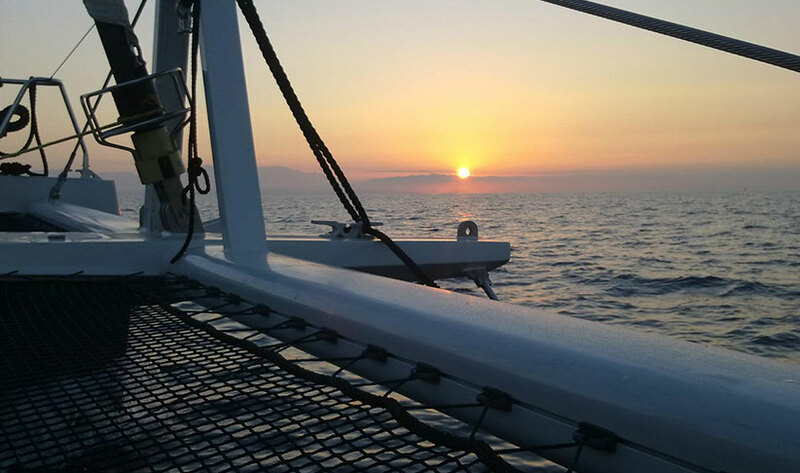 [Please be advised that this boat has gone back to Italy until further notice... please get in touch for other options.] 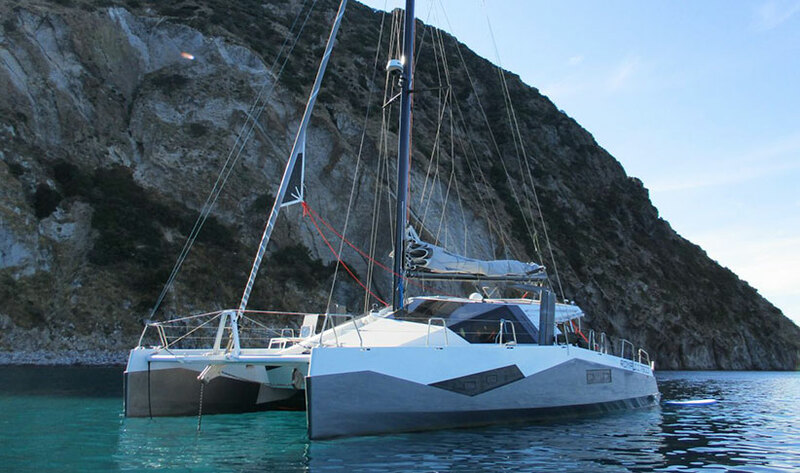 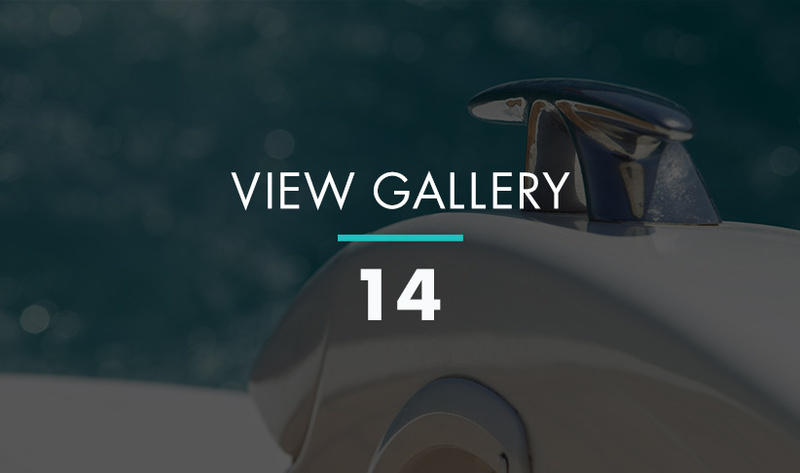 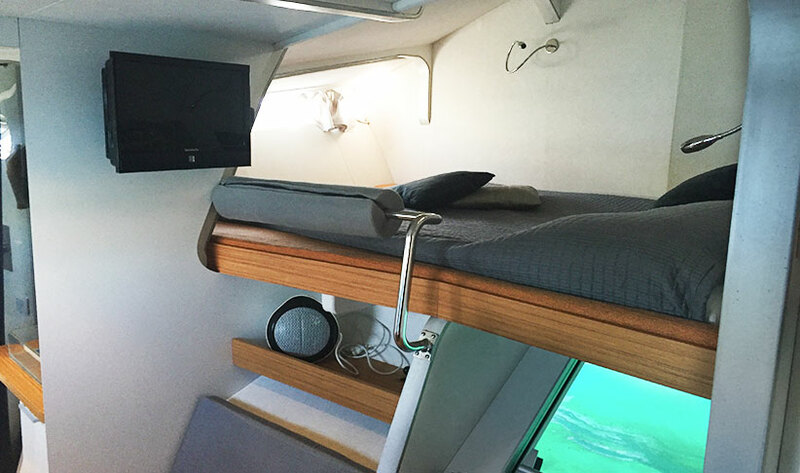 It is a new-concept sailing catamaran with modern innovative features, long waterlines, functional design and excellent high speed capabilities. 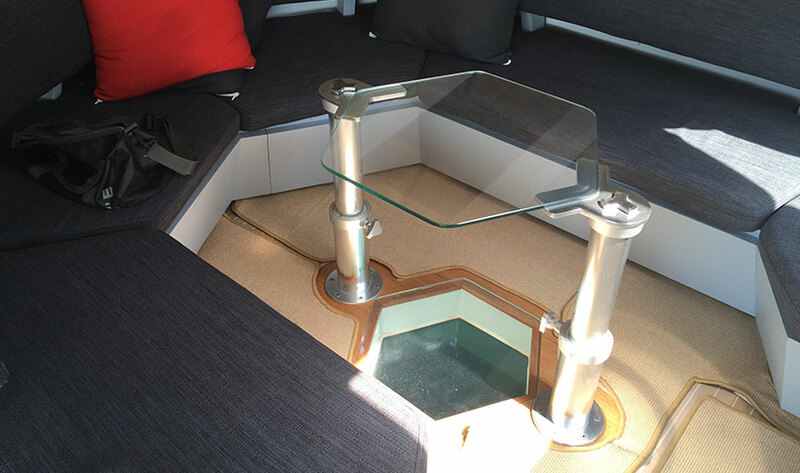 The generous living space is 35 sq. 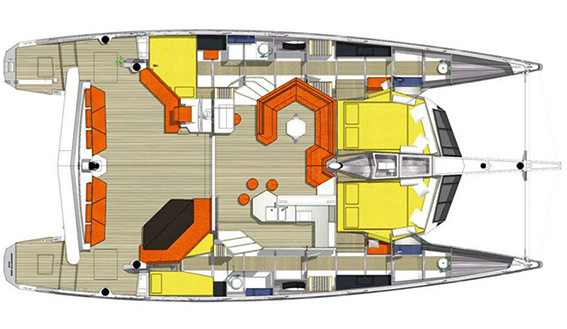 meters of uninterrupted space between the cockpit and the salon, ensures plenty room for all above deck. 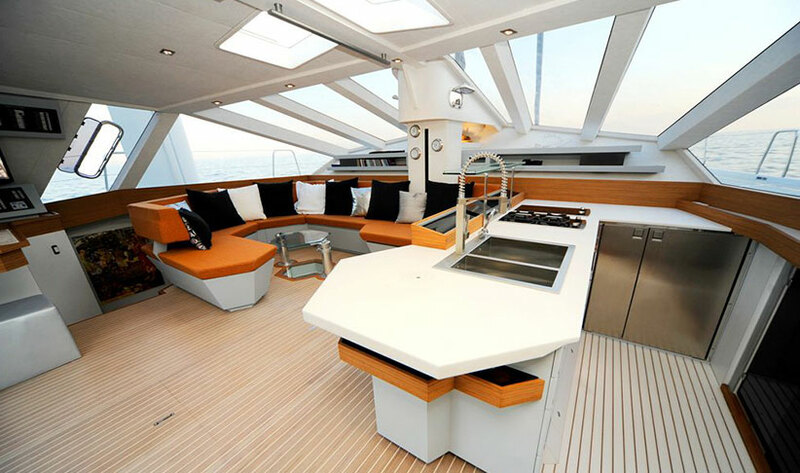 Below deck the cabin space is cleverly laid out, with the luxurious en-suite forward cabins enjoying stunning panoramic views. 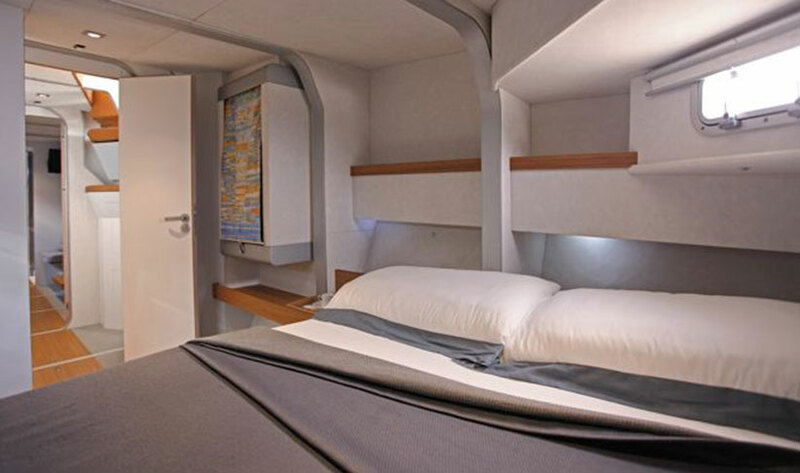 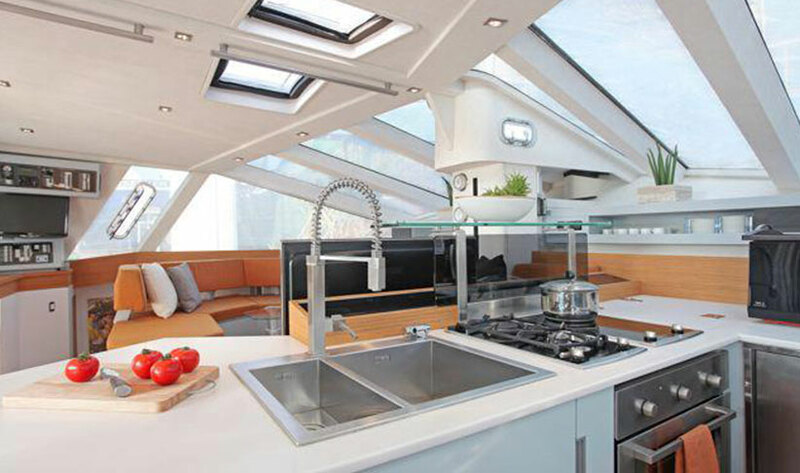 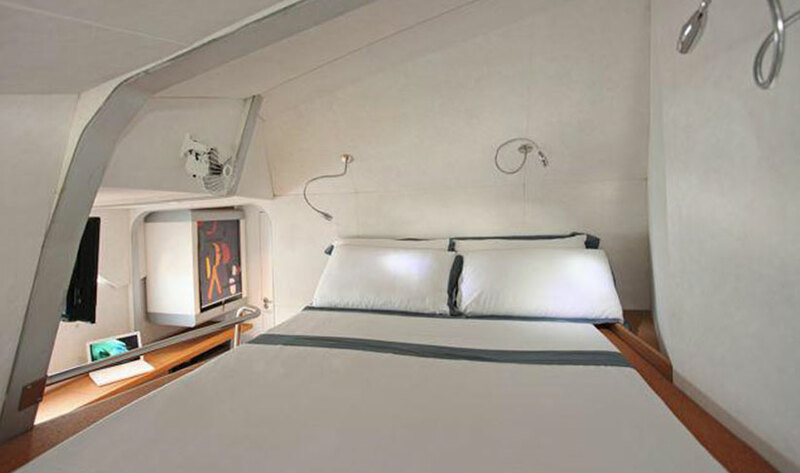 A third double en-suite and fourth en-suite double cabin, best used for crew with single beds are located at the stern. 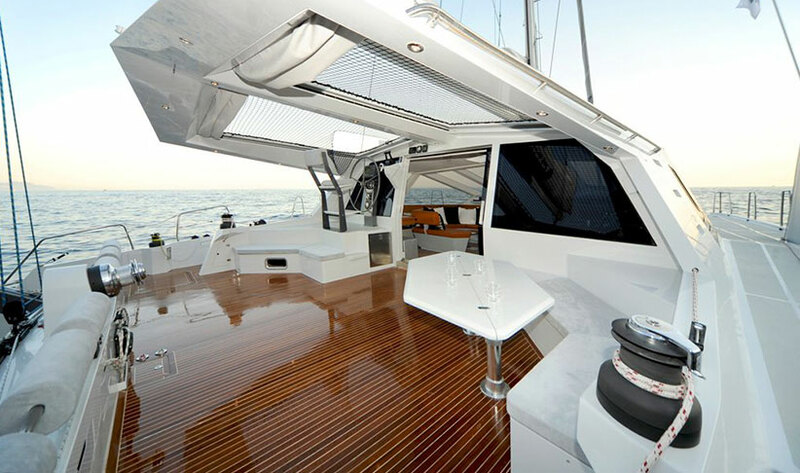 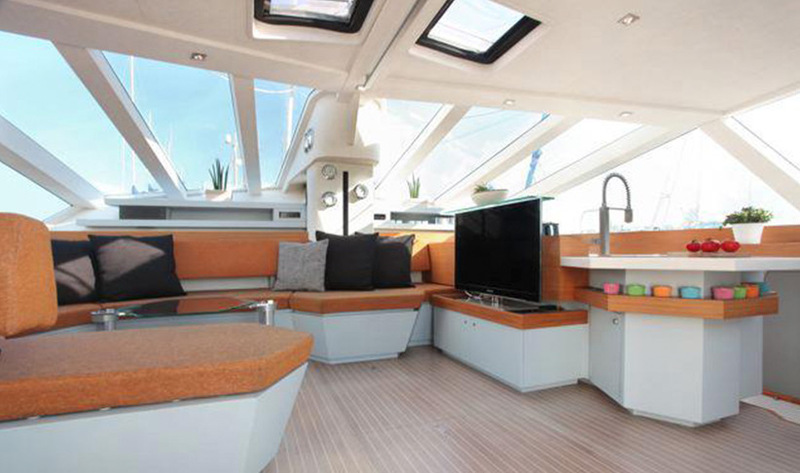 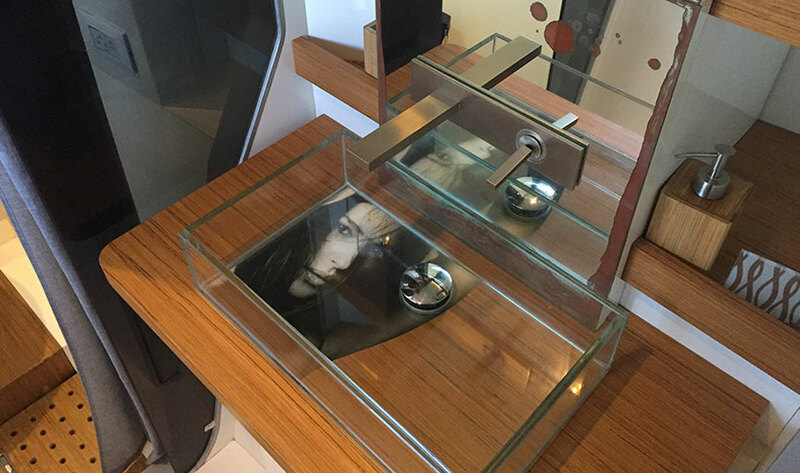 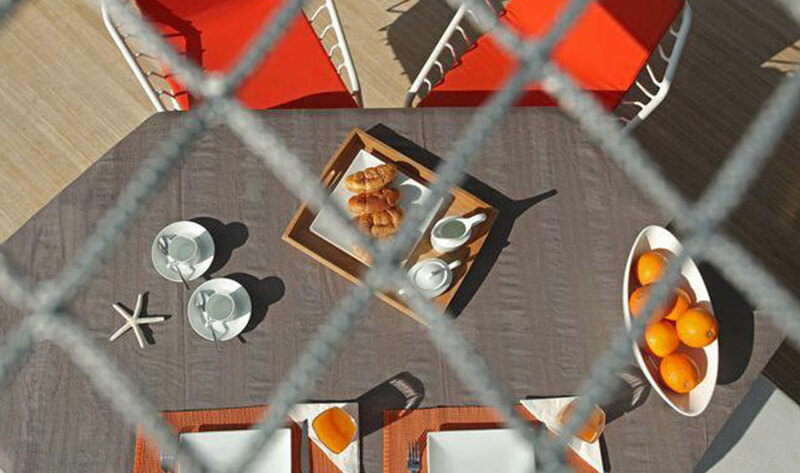 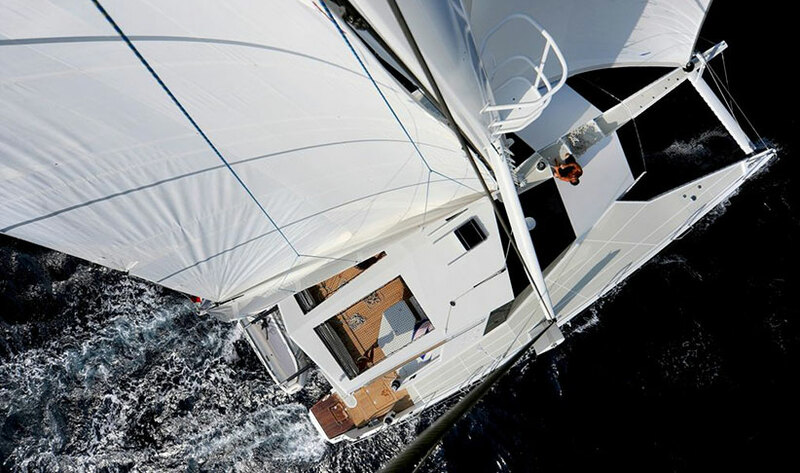 The Diamante 555 offers flexibility in chartering options. 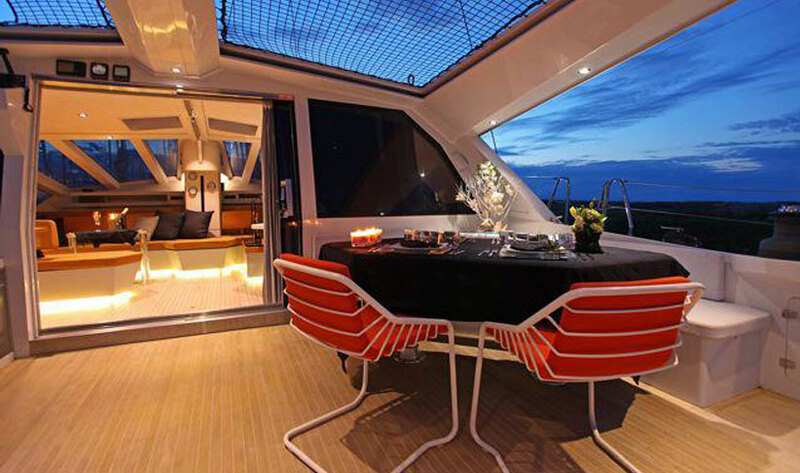 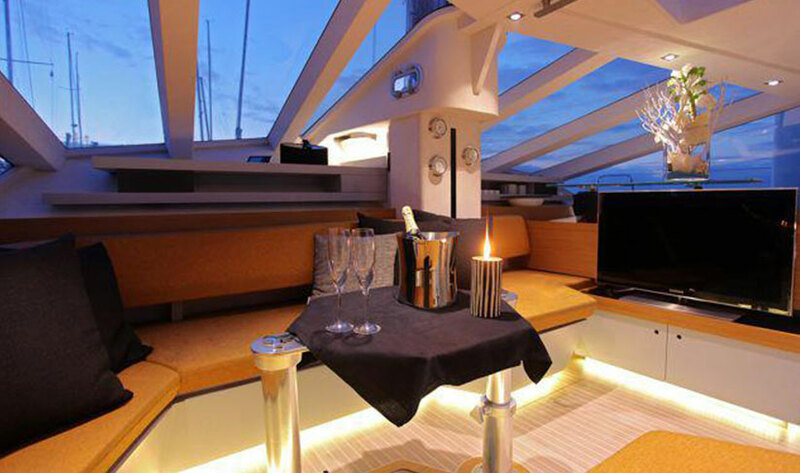 For week charters, we recommend for up to 6 guests with skipper and hostess. 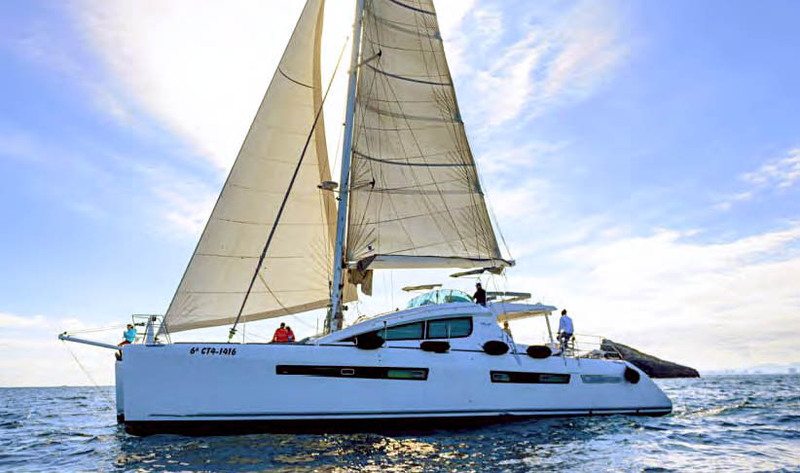 Available for day charter, subject to availability, before 18 June and after 18 September, for up to 11 guests with skipper. 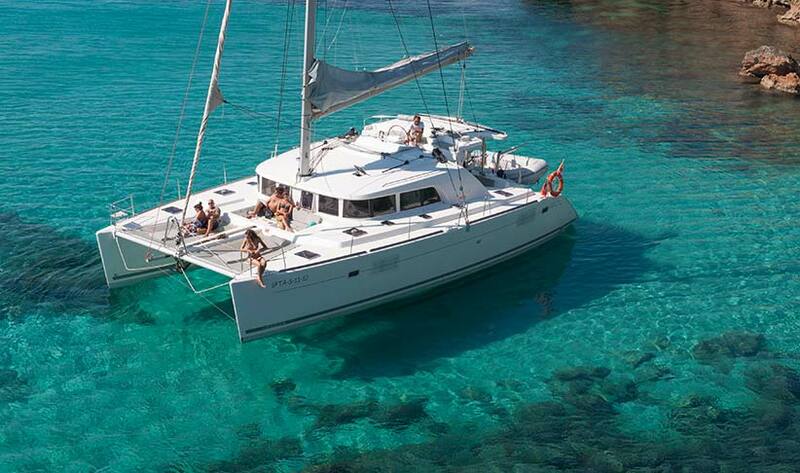 NOTE: Guide Prices are per week and include skipper and hostess.